One of the basics of chocolate handling is a little process called Tempering. Thanks to those good folks churning out bags of chocolate pieces you can get at the grocery store most of us think we can throw some chocolate in the microwave to melt and call it a day. However, have you ever been working with melted chocolate, making some chocolate covered cookies for example or pretzels or what-have-you and the chocolate looked cloudy or turned white when it cooled? Aha! Your chocolate was not in temper! Fear not, those cloudy morsels are still edible, the chocolate is not “old,” the white color comes from cocoa butter crystals. If you’re new to Wilbur’s of Maine Chocolate Confections there is something you should know about us, right off the bat. We love chocolate. That would seem obvious given that we are a chocolate company, but it just feels good to say it. WE. LOVE. CHOCOLATE. As a result there isn’t much we don’t cover in chocolate and quite successfully I might add: blueberries, cranberries, almonds, peanuts, gummy bears (you heard me), pretzels…the list goes on. Well if we had to pick a second love, it might be cookies. 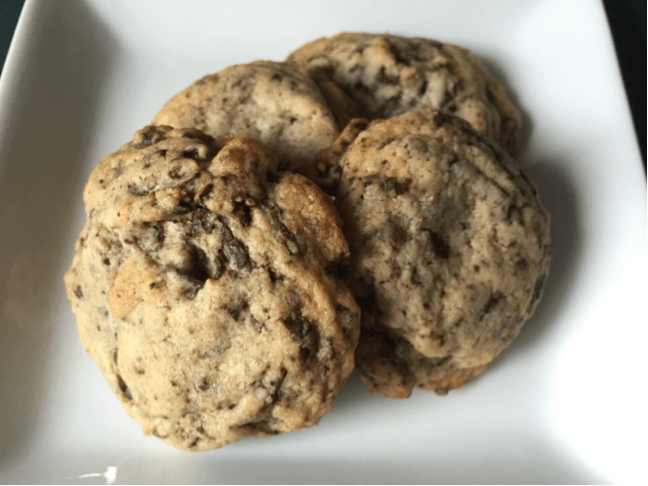 Chocolate Chip (obviously you’ve already read about that love story here) but there is another delicious cookie in your grocery store that begs to be covered in smooth milk chocolate. It’s called an Oreo. You pick your flavor, I’m not going to tell you how to live your life (Cool Mint, ahem) and dunk those babies into melted heaven and don’t look back. So how do you create such a divine confection without them looking like something the cat coughed up? Read on, lovelies…. Have you ever been shopping and seen those cute chocolate pops with the painted colors and wondered, “How did they do that?” Or maybe you’ve been to your local craft store and seen the candy molds and thought, “I could do that!” Well we are here to tell you it is not as hard as it seems! With Easter upon us it’s a good time to try this technique, as we all know there are few things cuter than a chocolate bunny. We’ll walk you through step-by-step of how to create your own homemade molded chocolate or candy pops to wow your kids or the local PTA bake sale.